Raul Benitez has been involved with the Chicago Film Community through the Chicago Underground Film Festival for the past 10 years. He has previously volunteered for The Chicago Cinema Society before taking over the film programming at Comfort Station Logan Square in 2013. He has partnered or programmed with Chicago Film Makers, Little Mexico Film Festival, First Nations Film Festival, Reeling Film Festival, Chicago Film Archives, Beguiled Cinema, CIMM Fest, La Guarimba Film Festival, South Side Projections, DollHouse DIY, The Wretched Nobles of the Exiled Dynasty, Kartemquin Films, ACREtv, Moving Image Arts, Cinema Culture and Nerivela Mexico. Currently he is programming at Comfort Station Logan square, screening movies and volunteering for this years Chicago Underground Film Festival and volunteering for Onion City Festival. 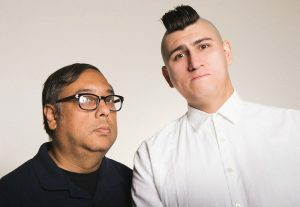 Raul was named by New City as a Chicago Screen Gem of 2015 and his outdoor film series for Comfort Station was named by The Chicago Reader(2013) and New City(2015) as the best outdoor film series in the city. He currently does film programming for Comfort Film (http://www.comfortstationlogansquare.org/comfort-film/) at Comfort Station Logan Square and The Nightingale Cinema (http://nightingalecinema.org/). He is also an IT manager at his real life job. On August 19th 2016 Raul will have his first programmed screening at the Nightingale Cinema in Chicago called Fire After The Sun. http://nightingalecinema.org/fire-after-the-sun. In July of 2016, Raul has a curated program of short films from the elvico.net archives which played on acretv.org.